Donna called to the bar having already gained a wealth of experience across all aspects of criminal practice. She was a Procurator Fiscal Depute for 6 years prior to establishing her own successful criminal defence firm in 2007, which she ceased in 2013 to pursue a career as an Advocate. During her 12 years in practice, Donna has personally successfully prosecuted and defended a variety of serious crime including fraud, food safety, road traffic and health and safety cases as well as sexual, violence and drug related crime. She has also developed significant expertise in dealing with vulnerable witnesses. 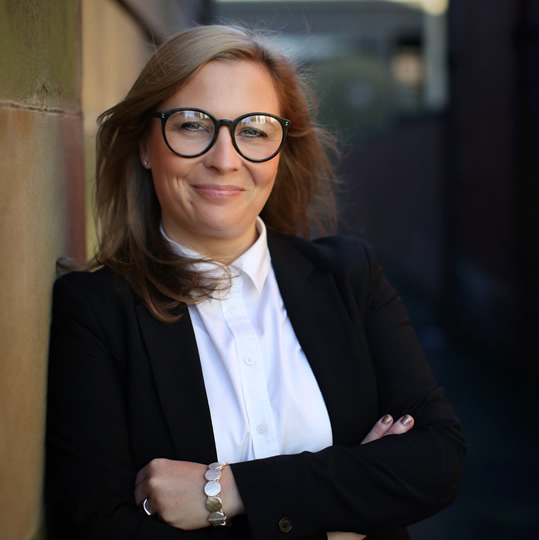 Donna is adept at dealing with all technical and procedural issues in both the preparation and presentation of all cases in which she receives instruction and is a well-known legal professional and established practitioner in Glasgow and the central belt. She has particular and special interest in criminal trials, regulatory crime, proceeds of crime and other financial related criminal cases. In 2012, Donna attained a Master of Science degree from the University of Glasgow in Criminology and Criminal Justice. This contemporary degree focused upon the new challenges faced in a modern criminal justice system. This gives Donna additional expertise and specialised insight into the challenges faced by those involved in the criminal justice arena. In particular, this includes topics such as gender related crime, football banning orders, punishment and penology and white- collar crime.